What is the efficient vineyard project? Visit the Efficient Vineyard website by clicking here. Commercial vineyard blocks, in general, are managed uniformly because producers lack the tools and technology to measure and respond to variation in environmental resources, vine growth, and crop production. 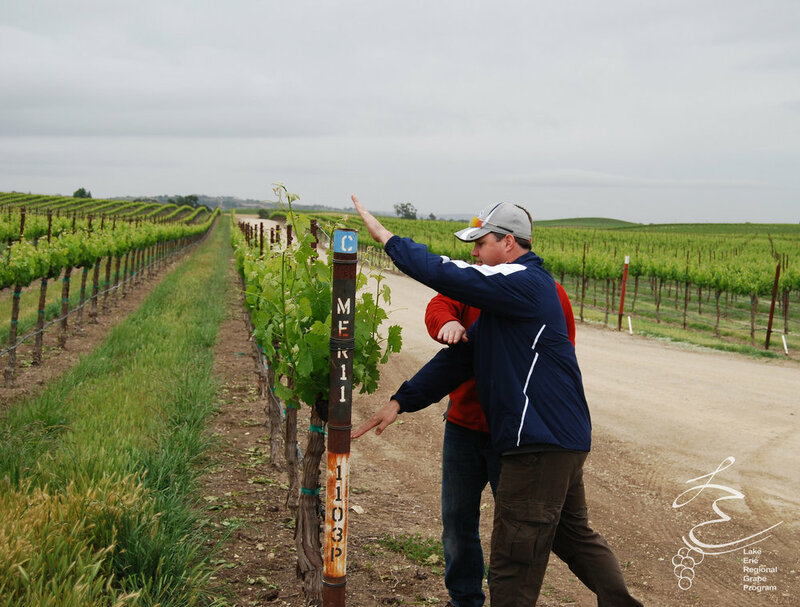 With increasing pressure on land, water, and labor resources, it is imperative for the U.S. viticulture industry to develop and adopt new management strategies to improve overall production efficiency. The goal of this project is to deliver an innovative, science-driven, and approachable precision viticulture platform to measure and manage sources of vineyard variation. Collect Spatial Data: Use existing sensor technologies, identify technology gaps, and develop novel sensor systems to collect spatial soil, canopy, and crop data in wine, juice, and table grapes. Transform to Information: Transform soil, canopy, and crop sensor data into usable viticulture information by relating high density, continuous sensor measurements with stratified manual soil, vine, and fruit sampling and measurement. Understand Relationships: Use semi-automated spatial data processing techniques and data fusion to construct vineyard maps showing relevant vineyard management zones. Apply Variable Management: Develop a variable-rate crop load management system on a commercial scale that integrates sensing technologies within a feedback mechanism. Scientific Evaluation: Evaluate the effect of precision crop load management on vineyard yield, fruit quality, and production economics. Facilitate Implementation: In consultation with the grape industry, develop end-user tools for semi-automated spatial data processing and educate practitioners on how to achieve high-resolution, spatio-temporal crop load management. Terry and Jackie give summaries of what the Efficient Vineyard has been up to for the past few years and where it is headed. Terry invites Andy to talk about the mechanics of variable rate technology and Kevin to talk about the economics of that technology. Want to know more about LERGP? Reach out to us today!